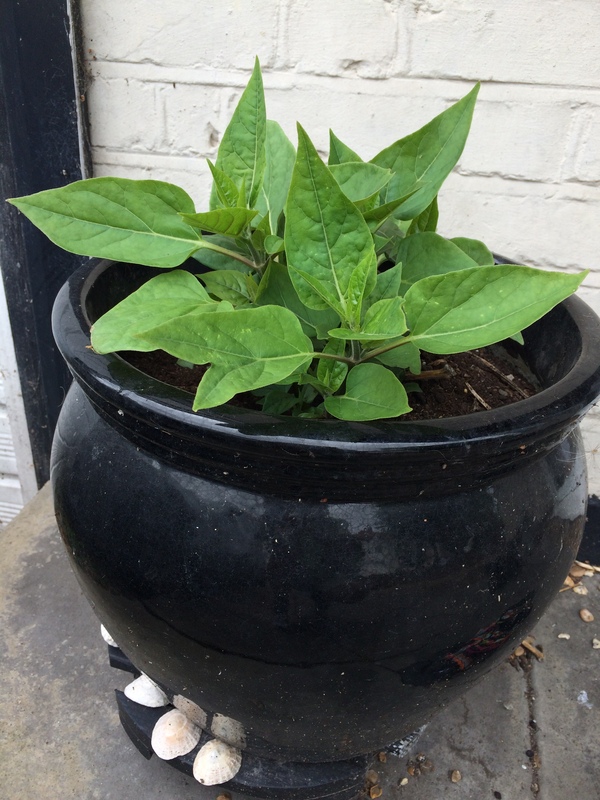 I have a pot outside the front of my house and all plants planted there have initially thrived then suddenly died. The soil has remained the same and untouched for maybe almost 12 months. In the last week this plant or weed has begun to grow and seems spectacularly happy. But what is it? Is it a plant or some hideous weed like a triffid? All help and advice welcome. Would help to know where you live. It looks like a poinsetta but if you are in say, Alaska, it probably isn’t. Hello. Near Wimbledon so south east london really. Hmm. No clue then. If you have an Ag Department near you, you can check in with their duty biologist.